The accredited laboratory of H&D Fitzgerald is recognised as a leading world authority on density metrology. Our premises are designed, built and equipped specifically for density measurement and calibration. Our laboratories guarantee compliance with stringent ISO 9001 and ISO 17025 requirements. Production of traceable liquid standards for calibrating density meters. 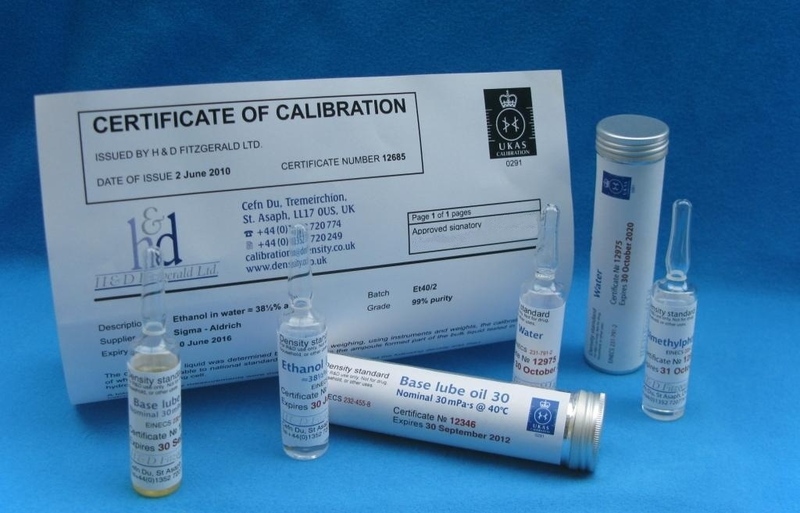 Traceable calibration of hydrometers and supply of new calibrated hydrometers. Production of traceable calibrated glass floats for density gradient columns. 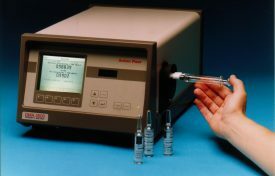 Traceable calibration of density meters. Supply of automatic density gradient column filler. 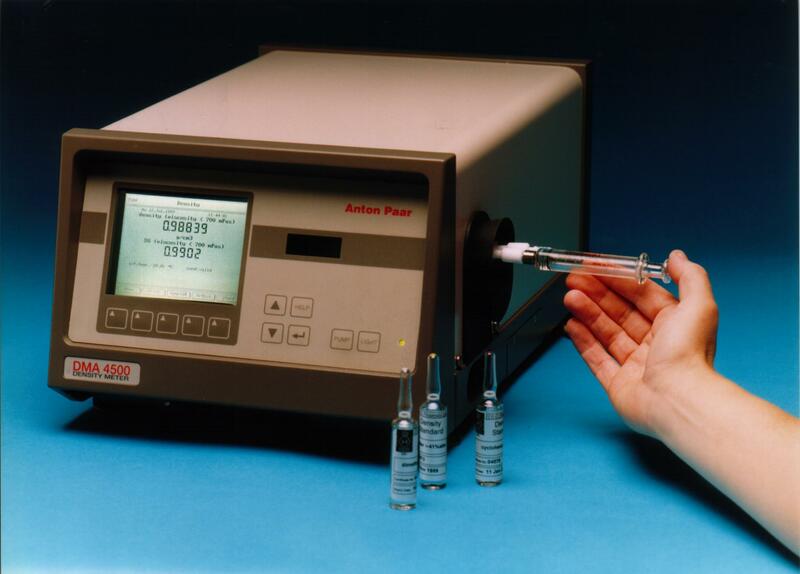 Manufacture and calibration of pressure pyknometers meeting GOST pattern approval 30919. Production of the Alcofloat spirit test kit, a device to detect the watering down of alcoholic drinks. Consultancy on all aspects of on density measurement and calibration. 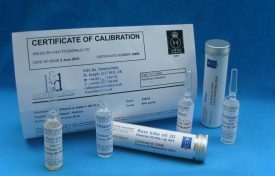 Almost all our calibrations have UKAS accreditation, and are supplied with UKAS calibration certificates, recognised worldwide. This gives complete confidence in the reliability and accuracy of the calibration.